2018. Watercolor, gouache, & ink. 6¾" x 8"
We had a very long winter in Minnesota in 2017-18. I decided to do a piece that celebrated warm weather and flowers. 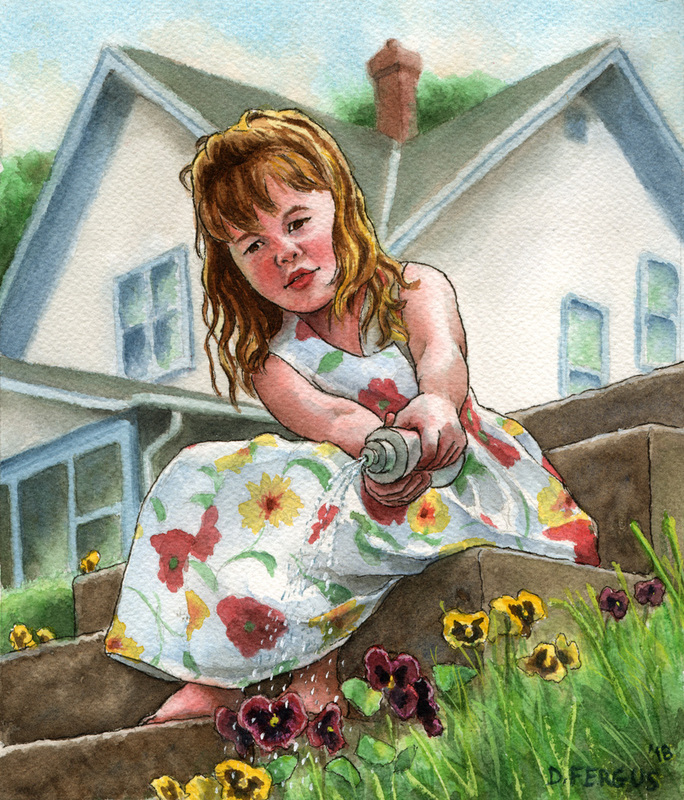 The illustration was inspired of a photo of my daughter, taken many years ago.